Get a solid foundation on cybersecurity for your team – they will learn critical techniques necessary to defend against network attacks, cybersecurity breaches, as well as ways to protect technologies or solutions through cryptography, intrusion detection and more. Learn from our certified ethical hacker how to protect and secure your work to outsmart a black hat hacker. 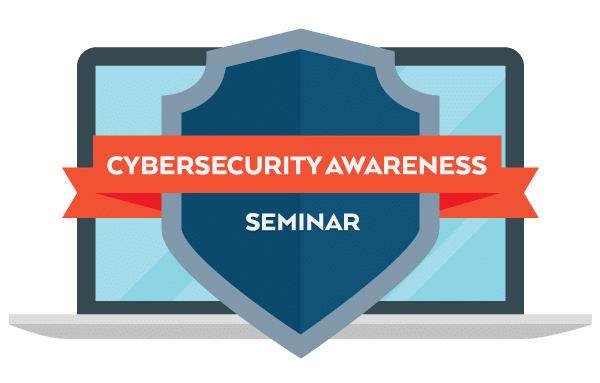 This cybersecurity awareness seminar is an essential training for all IT professionals. It gives them a comprehensive introduction to cybersecurity and areas that will help them understand more detailed aspects of the weaknesses, attacks and defenses used to attack or protect critical infrastructure, both on premise and in the cloud. So whether they are part of the technical management team (CTO / CIO / CISO) or IT professionals (developers, testers, database admins, system & network administrators) this cybersecurity awareness seminar will help them learn critical techniques necessary to defend against network attacks, cybersecurity breaches, as well as ways to protect their technology or solution through cryptography, intrusion detection and more. Register 2 or more attendees and each will get 20 off of their ticket. Well organized materials, a perfect introduction to security. In my position working on pre-sales and projects specifications I came across clients and security requests every day and the general knowledge from here will be very helpful. I think this is a course that should be consider by all developers and IT specialists. As cyber crimes continue to be on the rise for organizations, cybersecurity has become one of the hottest topics. Worldwide, more and more hackers break into systems stealing information, thus causing business disruption and equipment damage beside, of course, huge revenue loss. Hacking attacks are now even more appealing and profitable. This is because of the large number of insecure web solutions and also because of the amount of sensitive and financial information that is transmitted over the Internet every minute. Today, it seems like, no one can assume they’re safe. Notably in 2015 alone, over half a billion personal records were stolen or lost. Half a billion. Stolen. Lost. Even though more and more companies started to avoid disclosing the full details of the data breaches they suffered, they are taking measures to protect themselves. Information security trends show that 91% of companies have adopted a risk-based cybersecurity framework, while 69% of companies use cloud-based cybersecurity services. Before addressing threats, it’s important to understand and gain knowledge of the most fundamental aspects of cybersecurity. Participants will learn critical techniques necessary to defend against network attacks, cybersecurity breaches, as well as ways to protect their technology or solution through cryptography, intrusion detection and more. Watch this short video (in romanian) Alex Mang and Florin Coros explaining why they think security awareness is important. They also sharing their feedback with us on this seminar, what aspects did they find the most valuable. IT Solutions Specialist, Microsoft Cloud and Datacenter Management MVP, Certified Ethical Hacker. 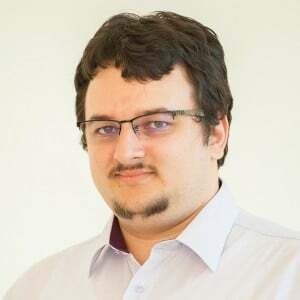 As an IT consultant with more than 10 years of experience in managing complex IT infrastructures, Tudor is a Certified Ethical Hacker, a Microsoft Cloud and Datacenter Management MVP and a technical speaker at local and regional community events. He often talks about the latest technologies and trends with themes including cloud and hybrid networking & security, virtualization technologies, social engineering and information security awareness, web application security, white-hat hacking and penetration testing techniques. Group registration available with 20 off tickets if you register 2 or more attendees. The application takes about 2 minute to complete. No payment or credit card information are required at this point.